Profile Response: Don Funke, Bozeman, MT | How Will We Live Tomorrow? I knew there was a good story lurking within when a distinguished looking middle-aged man opened the door to the townhouse on Montana State University campus. Why was this successful looking guy living in student housing? Turns out Don Funke is the only member of his family who’s not studying at MSU. His wife Karen is in a Master’s Program in Adult Education, his daughter Megan is a junior, and son Walter a sophomore. 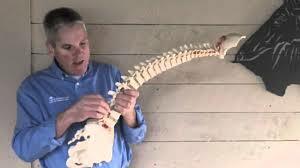 Don is every bit the career professional he appears; he’s been a chiropractor for over twenty-five years. How a solid citizen with a stable family in his mid-fifties came to live in married student housing – a step up from the double wide they occupied previous – is a tale of staggering, strangling debt. A story all too common in the United States. Don and Karen cannot foresee life without debt; each of their children has borrowed for college. 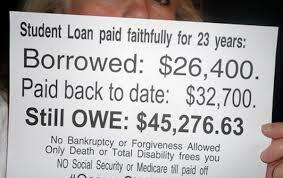 Debt is a constant burden, yet it doesn’t drive their lives. Walter studies art, which isn’t economically promising, and lives with his family to keep his debt load down. Megan will spend junior year in France, despite costing more than remaining at MSU. 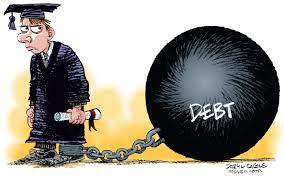 Once debt becomes your permanent reality, you shrug the burden and go on with life. 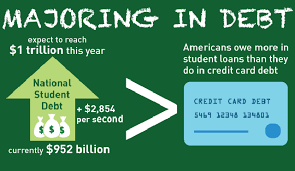 At one level, debt’s liberated Don and his family. It prompted them to Bozeman, and they embrace this place they love. But debt is pernicious. It denies the Funke’s security. A random accident, illness, or economic reversal could land them in dire straights. They know that, but there’s nothing to be gained from such worry. “We are living in a hospice situation. The rapid rate of species decline, weather change, population explosion, are in a terminal stage. When you think about hospice, it is the end of life as we know it. But it can be a good time, a time to connect with others, to reflect, to reach out. “Government studies show that three major events in one year could disrupt the global economic and political system, yet the statistical chance of that happening is great. “Since 911 I’ve thought, ‘Why bother?’ yet I have all these commitments, debts, and family obligations. I have to bother for them. Otherwise, if it were up to me, I’d be doing what you’re doing. “I do what I can. I live in in a Transition Town; I ride my bike; we live in a small house; we got rid of 75% of our possessions in the past two years. Getting rid of 75% of our possessions affected my personal well-being. Every one of those things you buy is a dream of happiness. They’re hard to let go. We still have one storage unit of stuff. I have things in there I cannot abandon. I have a beautiful bow with arrows. I don’t need it, yet I can’t get rid of it. This entry was posted in Responses and tagged Bozeman MT, debt, Don Funke, Pell grants, student debt, Transition Town. Bookmark the permalink.